For the pickiest of eaters and drinkers, check out Le Grande Bistro & Oyster Bar. 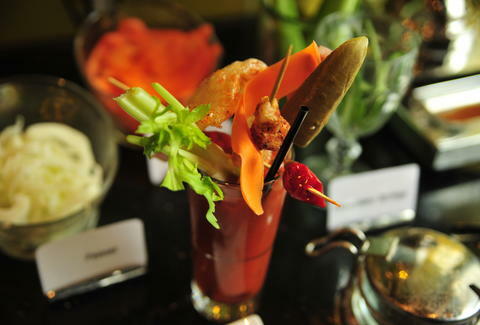 They serve brunch on weekends from 9a-3p, but more importantly, they have three different Bloody Mary bars. There's a set-up for pescatarians, herbivores, and normals, aka carnivores. 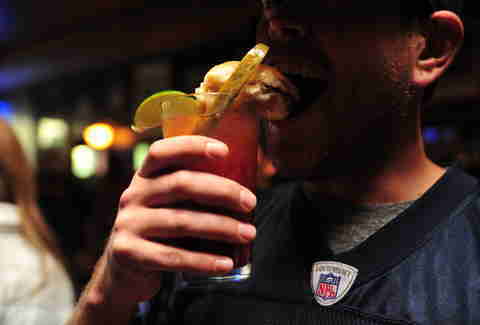 Of course, you could always just shove everything from each station into your glass, making brunch an afterthought. Over near Cheeseman Park is Chicago bar Wyman's No. 5, the go-to for big Chicago sports fans and the deep dish pizza that made them that way. 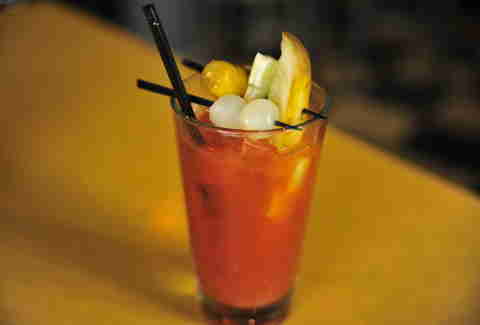 Their Bloody Mary pays homage to the robust appetites of the homeland, with a White Castle burger and pepperoni garnishing the perfectly spiced tomato mix. It's only available on Sunday mornings, so for your safety, you'll probably want to wear some Bears gear. Even in the offseason. 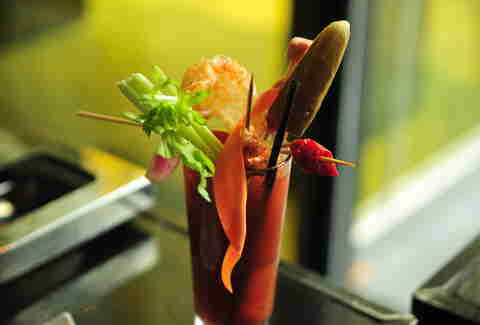 For a weekday fix, Gallop Cafe's bloody comes in a goblet fit for a king. The taste and garnishes are pretty textbook, and the $6 price tag will make you all the more inclined to have more than one. Also, studies show that people are 78% happier when drinking from a goblet. 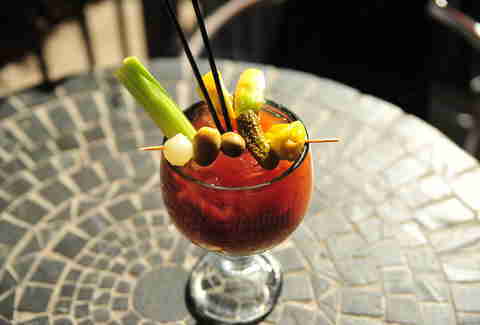 The Corner Office does Disco Brunch every Sunday from 7a-3p and features "I Will Survive" bottomless Bloody Marys and mimosas (as in you can just keep drinking them, so keep your pants on, at least at the beginning). They have a whole table devoted to helping you survive with standout garnishes like chicharrón, fried pork belly, and fries. Oh, there's also an entire table devoted strictly to hooking you up with beer backs. 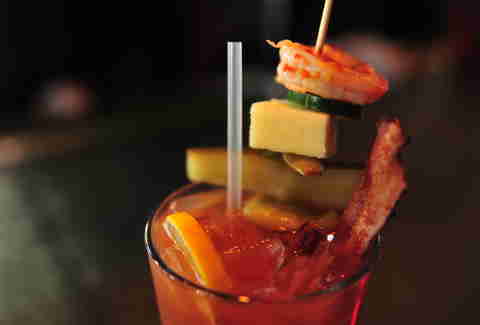 Lola is best known for its impressive tequila selection, but they also know how to impress a Bloody Mary connoisseur with a perfectly spiced number whose garnishes include shrimp, cheese, and bacon -- so basically it's a kosher nightmare. Get it weekends from 10a-2p. 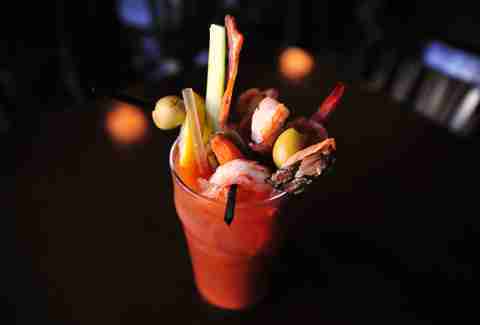 The Hornet supplements a damn fine brunch with $2 build-your-own Bloody Marys on the weekends from 10a-3p (The Green Hornet, meanwhile, just poisons box offices). The condiments and garnishes are relatively simple and few, but when a Hamilton nets you five of them it's hard to complain. 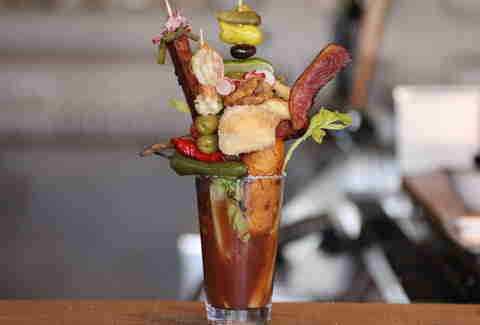 This mission is not for the faint of heart, but If you want to get really crazy and blow some cash on the most outrageous Bloody Mary in the Mile High, go to Kachina's Southwestern Grill and try this.